These next two charts for a great company called Outback Deck, tell a great story. If you want to be the top contractor in your area, it's a lot easier when your website lowers your overall cost per lead (CPL). By continuously improving your website's lead conversion rate (conversion rate = total visitors ÷ total leads), you effectively lower the overall CPL of all of your other advertising and marketing efforts. When people hear your radio ad and then visit your website, if your conversion rate is twice what it used to be, then the CPL from the radio ad is halved. BigNet Leadsis the only web agency that focuses on – and measures – the conversion rates of our contractor partners in our program. 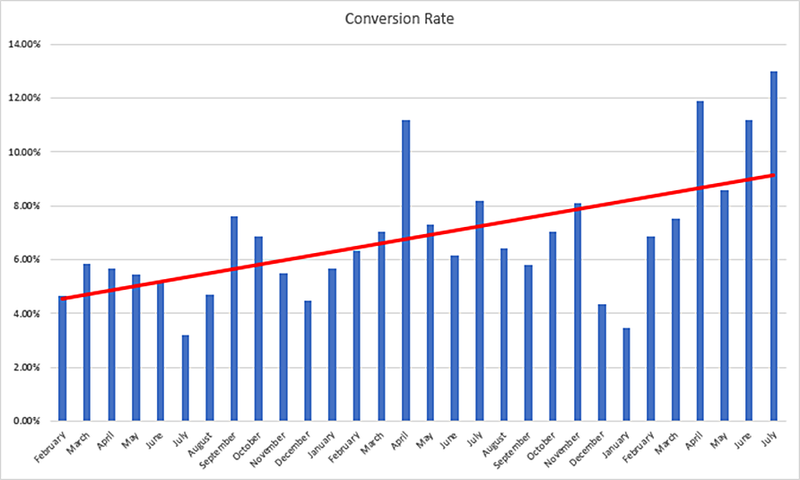 How important is conversion rate? If you and your competitor get the same amount of visitors to your website in a given month, and your site converts leads at 10% while theirs only coverts at 2% – you are capturing 4x more leads from that traffic! An overlooked segment of web services is conversion rate optimization. BigNet sites convert well, but our testing makes all the difference. Look at it another way. If you’re getting 30 leads from your website with a 3% conversion rate and triple that to 9%, you get 3X the number of leads. 1,000 visitors at a 9% conversion rate = 90 leads. 2,000 visitors at a 3% conversion rate = 60 leads. 2,000 visitors at a 9% conversion rate = 180 leads. Soon you’re running right past your competitors. 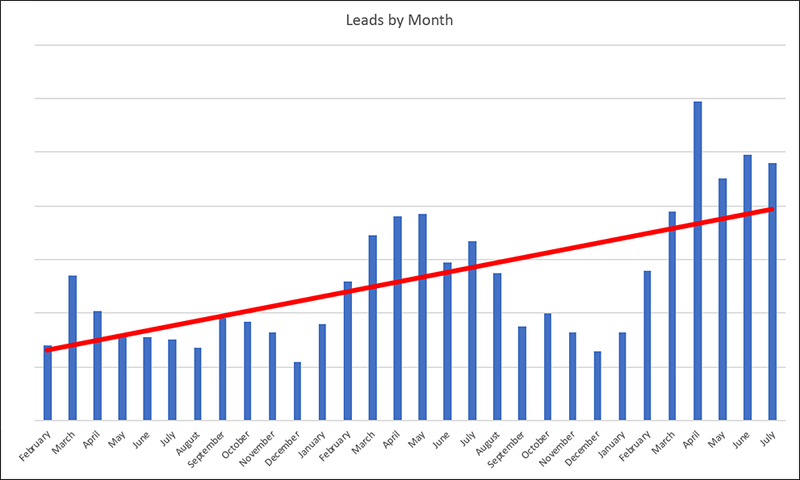 The good news is that it doesn’t happen overnight, so you can grow your business as your leads grow. What would your business look like with 3X the leads you get now?